With just under 2 weeks until the Library of Birmingham opens we are well underway with all of our installs for The Discovery Season. 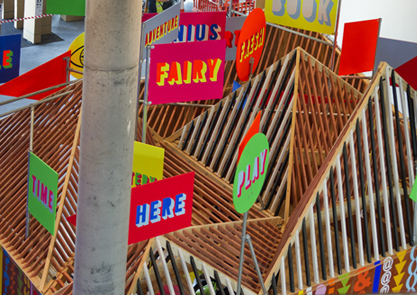 The Pavilion created by Morag Myserscough and Luke Morgan is now complete and looks amazing. 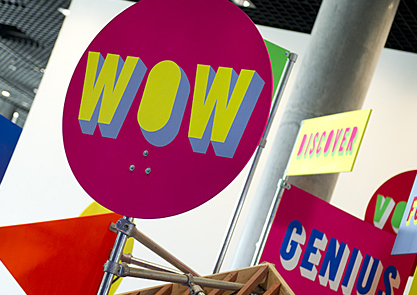 Studio Myerscough have created a structure that will act as a billboard for the entire Discovery Programme. 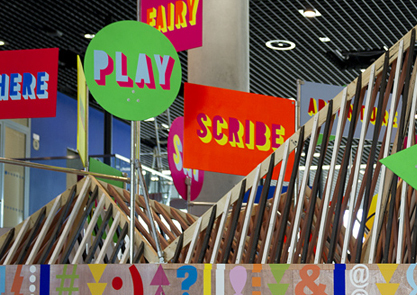 Situated in the Library foyer, The Pavilion will house an 18-week rolling programme of creative residencies focused around the theme of Discovery. 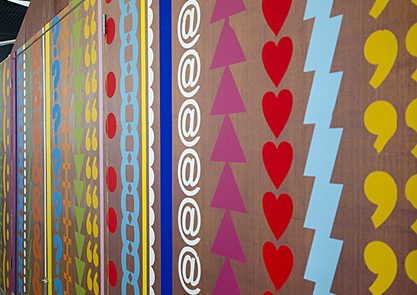 Entirely hand–crafted and hand-painted The Pavilion is a bold and engaging structure reflecting the diverse, and often radical, offerings of the Discovery Season. 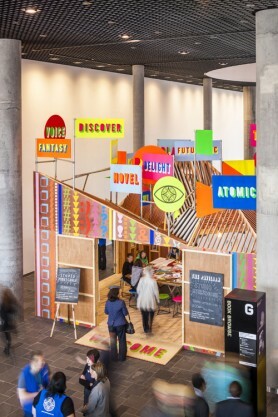 A neon crown of signs uses words that originated from discussions and workshops with the Birmingham 2022 group.